Residents of the Southville 7 community gathered at the Chapel of Two Hearts on the 16th day of July 2015 to mark one year after Typhoon Glenda (Rammasun) hit the resettlement site and other parts of Southern Luzon. Father Rey Ranjo joined the community in the Thanksgiving Mass to express gratitude for keeping everyone safe during the typhoon. “Marapat lamang na tayo ay magpasalamat sa dakilang lumikha sapagkat hindi niya tayo pinababayaan. Kahit anumang unos ang dumaan sa ating buhay, bagyuhin man tayo, ulanin, narito pa rin tayo at ligtas dahil sa kanya. (It is just right to thank God because he did not forsake us. No matter what challenge we may face in our lives, we feel safe because of Him)”. “Kasi po nung bumagyo po sa amin sa Pasig, sobrang lakas ng hangin at ulan kaya nasira at nilipad po yung bubong namin, sobrang kinabahan at natakot ako para sa pamilya namin kasi nagsisimula na rin pong bumaha sa aming lugar (When Typhoon (Ondoy) hit our place in Pasig, strong winds and rain blew our roof; I also felt worried for my family because the floods started rushing into our place)”. “At ayon nga po, gaya ng kinatatakutan namin, nawalan kami ng bahay. Pero sa kabilang banda, nagpapasalamat pa rin po kami kasi naligtas naman po kaming buong pamilya. (We later found ourselves homeless. But on the other hand, we were thankful that everyone in our family was safe). 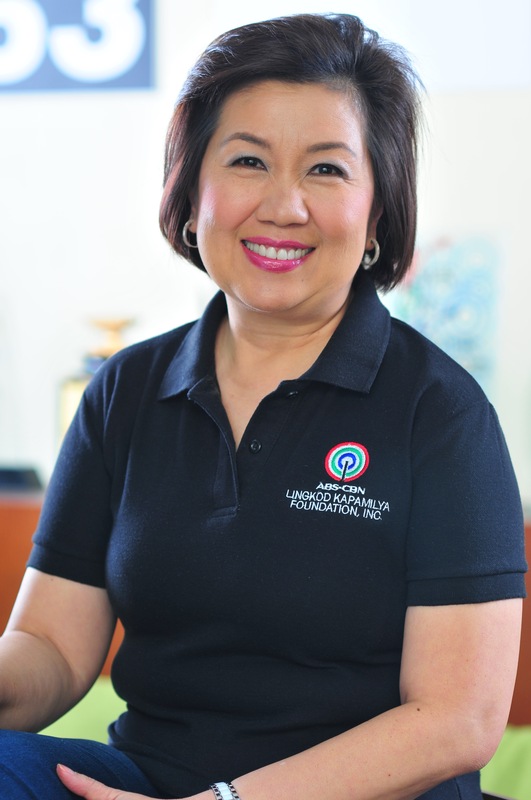 “Atsaka buti nalang din po may pangalan kami sa NHA at tinulungan kami ng ABS-CBN Lingkod Kapamilya Foundation kaya po ngayon nandito na kami sa mas ligtas na lugar, sa BayanNiJuan, Calauan Laguna. (And another good thing is that – we had our names registered in NHA's (National Housing Authority) resettlement program. ABS-CBN Lingkod Kapamilya Foundation also extended help in our relocation to a safer place, here in BayanNiJuan, Calauan, Laguna)”. 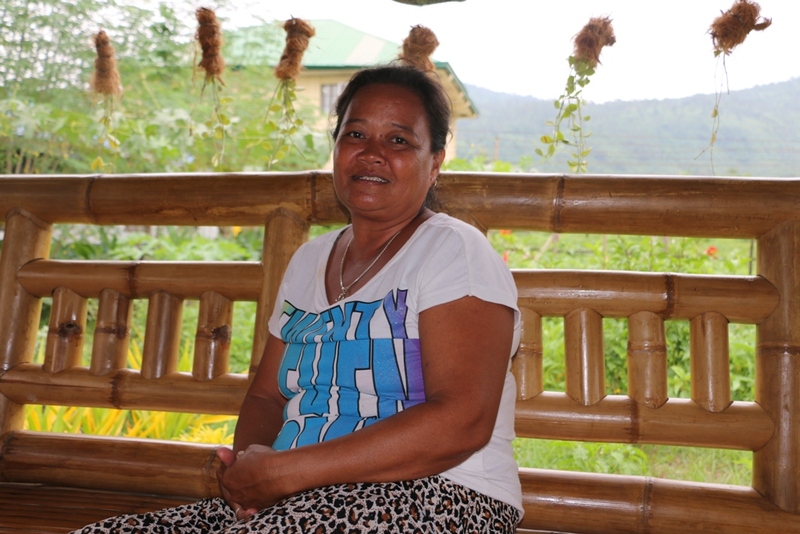 Juvelyn admitted that she and her family initially had a hard time adapting to their new environment in Calauan. Eventually, she was able to adjust with the help of her fellow homeowners. She also availed an interest-free loan under the Community Innovation Fund of ADB-JFPR, which she used for her frozen products store. Juvelyn also sits in the Livelihood Assistance Committee (LAC), which screens CIF loan applications submitted by fellow Southville 7 residents. And currently, ABS-CBN Lingkod Kapamilya and Habitat for Humanity are working together to repair and strengthen typhoon-damaged houses in Southville 7. Repair works will be completed in October this year.